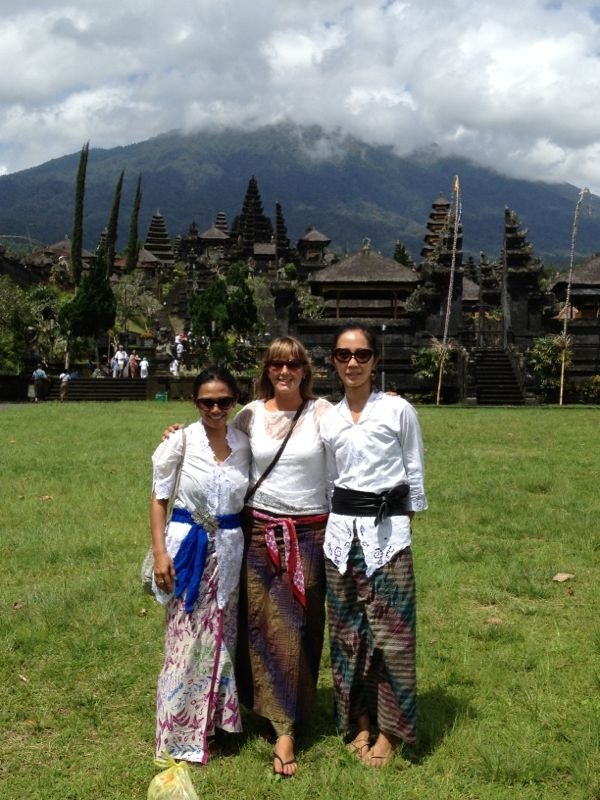 Bali has this wonderful way of presenting you with beautiful friends at the right time. I have met some really amazing girls that have opened my eyes to different parts of Bali that I potentially I would not have seen if I didn’t meet them. 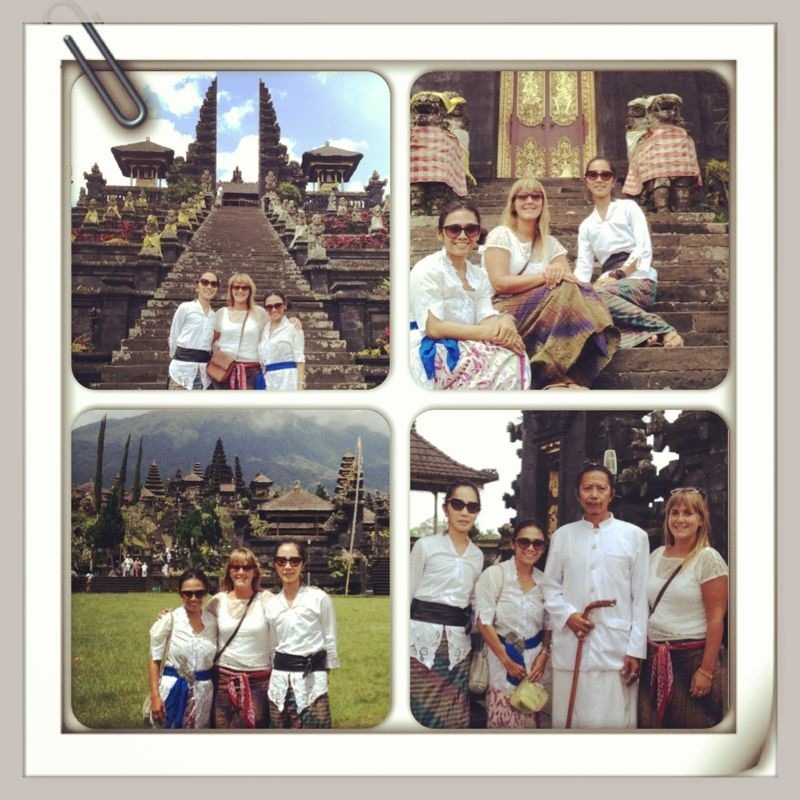 A couple of girls in particular decided we must go to the Mother temple of Besakih. 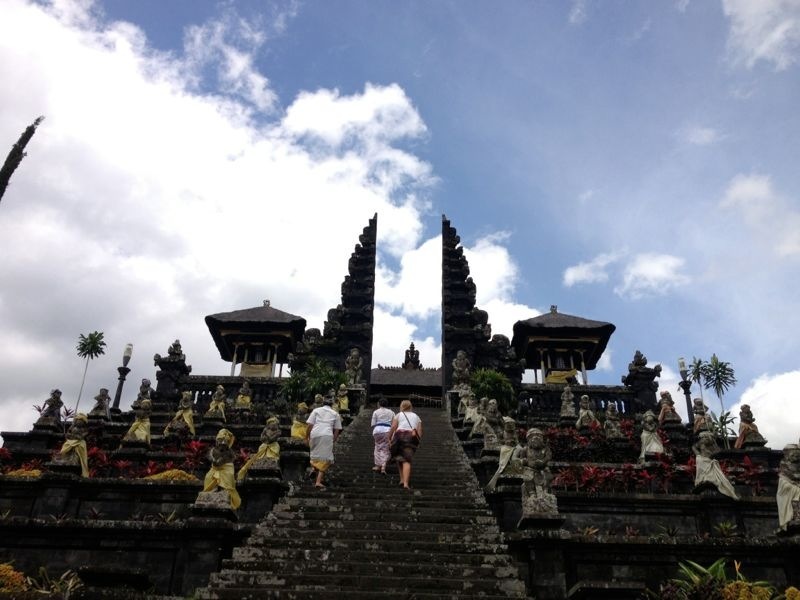 Besakih is the mother temple of Bali, the holiest temple for the hindu religion in bali and you can definitely identify it is the holiest temple when you arrive. As you walk towards mount Agung with the temple nestled below it’s vast greenery you can feel the energy starting to take over your mind, body and spirit. We walk slowly towards the temple and are welcomed by a young gentlemen, he seems kind and at ease. He doesn’t want anything from us other than to show us the depth to Besakih. 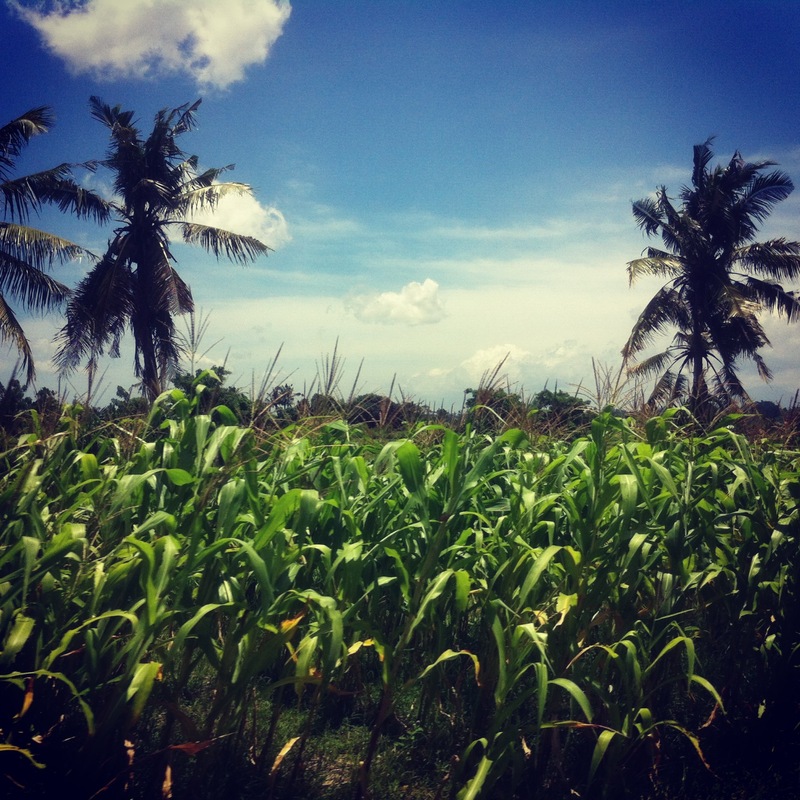 Wayan says, “You girls are lucky, it rains everyday and today no rain.” We feel blessed that the sun is out and there is freshness in the air. As we walk closer to the temple I look around and its stunning, breathtaking actually, every detail and carving on ever point of the temple is so beautiful and there is just a sense of serenity all around. I feel calm and safe in my surroundings. There is an attention to detail in the design of the temple and also the rituals that take place within the temple. 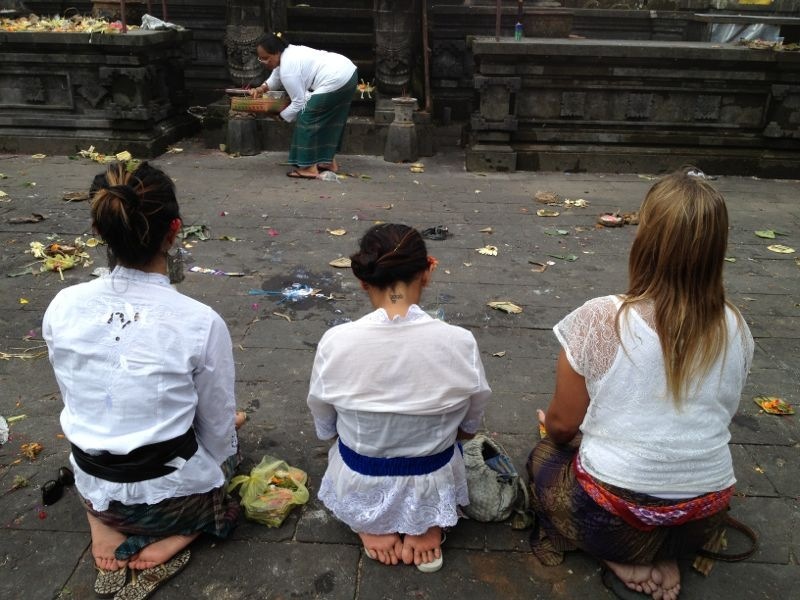 Wayan turns to us again, “ You girls really lucky, ceremony today, everyday not ceremony.” Once again we feel that we have been blessed and we believe divine timing has taken place and potentially we have been chosen to come to the temple today and been given the guidance to do so. Floods of people dressed in traditional dress walk past us after conducting a ceremony for a lost loved one. They all look so beautiful in a variety of colours. They all seem at peace although they have lost a loved one. We wait patiently for all to leave the main temple. There is a north, south, east and west temple amongst 22 temples. As we step into the main temple I get goose bumps from head to toe, there is an energy in the temple that I have never felt before, tears start to well up in my eyes, just from the energy, I can only imagine how I will feel after praying. My friend turns to me and says “oh my it’s the high priest”. So we not only have sunshine, a ceremony, we are blessed to meet the high priest. As we walk close to him to meet him I begin to tremble, we stand next to him and I’m scared to touch him in awe of someone so wise and spiritual. You can see his depth and humbleness glistening in his eyes, in his spirit, in the way he moves. He has been here before, he knows the true answers in this life and he is at peace. Feeling incredible and we haven’t even begun to pray yet. We move over the where we will pray, we kneel down and Wayan talks us through a pray. I’m trembling again; the energy has taken over my body. We go through a few different rituals praying to different gods. We place a flower petal in each ear, each a different colour praying to two gods, we then place a flower petals or grass on the top of our head, afterwards we place rice on our throat and forehead in the position of our third eye. Each time we bring our hands together in pray and chant a pray out to the different gods. After we have prayed to each of the gods a priest comes over to us and we drink the holy water three times, I seemed to drink it four times, hopefully an extra blessing ha. As the priest floats away almost in a trance we begin to mediate. In this moment I feel in tune with my surrounding sprits and am ready to receive the messages I require. Through meditation I became quite emotional and receive the answers to many questions in my mind, I feel clarity and peace at the completion of our mediation and pray. We slowly return back to reality not rushing just taking our time to tap back into normality. We all float around the temple, quite dazed and at peace with the whole experience. I have a sense of happiness tingling through my body and know exactly what I must do going forward on my journey. As we walk out of the temple we see things through beautiful eyes everything seems so calm and amazing and we are so grateful for this special experience. 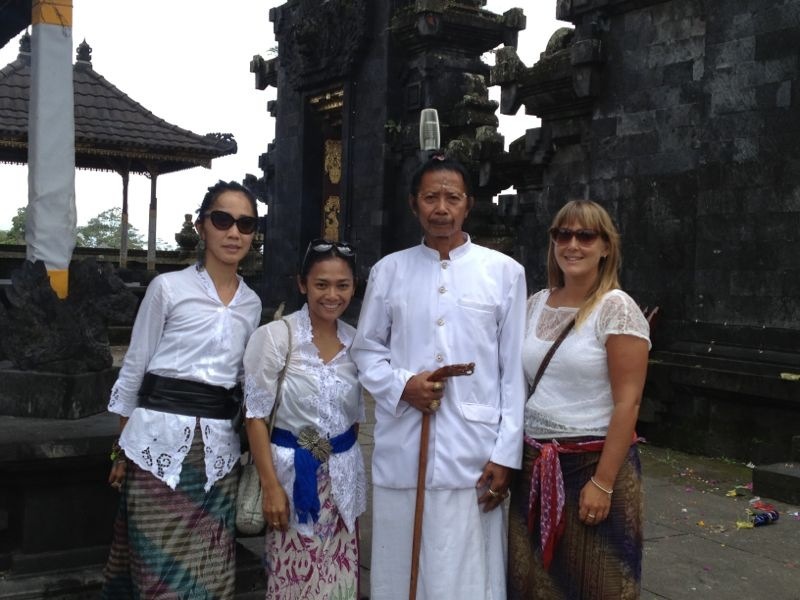 We chat with Wayan about the Balinese people, Hindu and spiritualism. The key words I took from the discussion were good and bad spirits, yin and yang and balance. A very special word in Balinese that represents all of the above is Rue Benida. 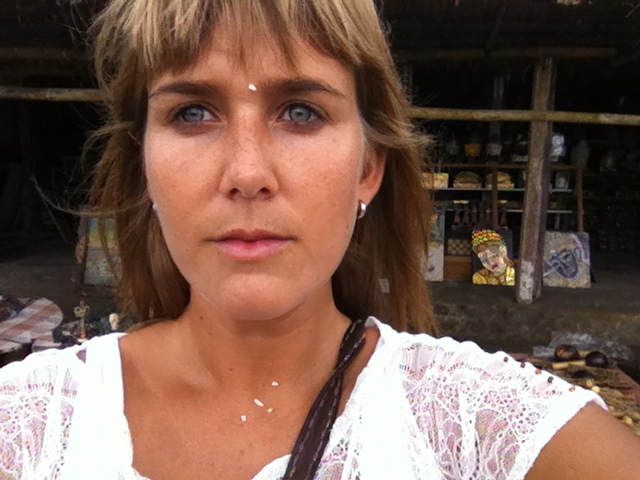 Rua Benida is a beautiful symbol for the lessons I have learnt in Bali. I’m reminded every day that you must have balance in every aspect of your life to get peace within. Actually it’s not only been key with my journey in Bali but my journey in life. I have struggled with getting the right balance in my life for a long time and I believe many of us in big city corporate lives do, but I’m so glad and blessed that I got to live in Bali for a year to understand the true essence of balance through dealing with hard times, spiritual bliss, financial struggles, pain and hurt from the past and truly being balanced and living in the moment, in peace and enjoying what you have not what you don’t have. Besakih was my first spiritual/religious experience and it will be with for life and I am so glad I got to spend it with two very special women who will be friends for life. I’m writing this months on from the experience and it feels like yesterday its very clear and crisp in my mind. The answers and peace I got that day have helped me take on so much in the last few months, so I give thanks to Besakih, Bali, Wayan, the high priest and my beautiful girls. Rue Benida.